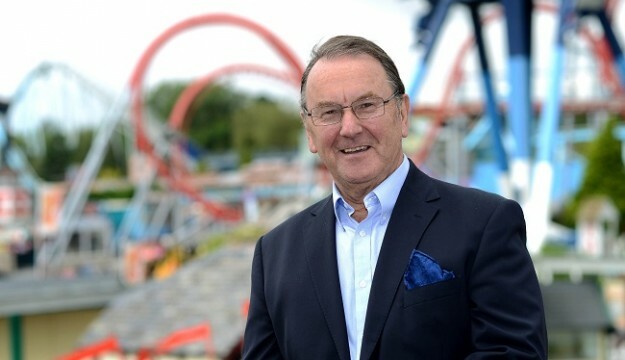 After more than 52 years of commitment and dedication to the leisure industry, Mr Colin Bryan, Chief Executive at Drayton Manor Park and son of the original founders, has received an OBE. This is in recognition of his charity work and his ongoing contribution to tourism. The determination demonstrated by Mr Bryan, not only for his involvement in the tourist attraction his parents founded in post-war Britain, but also as a philanthropist, is indicative of his passion and the drive he has for the park, employees and the people it serves. Back in 1949, Mr and Mrs George and Vera Bryan OBE purchased a derelict property together with 80 acres of land near Tamworth, Staffordshire. Not long after, they set about transforming the site, which had once been the home of Sir Robert Peel, into a leisure park that would be affordable, reachable and open to all. Today, in its 66th year, Drayton Manor is one of the top five theme parks in the UK. Over the years, Colin has been an inspiration to those around him for his support with numerous local charities and community initiatives, including his involvement with the park’s main charity, of which he is a Patron, KidsOut. KidsOut is a national charity providing fun and happiness for young people living in difficult and challenging circumstances. Here he continues the work his father began in 1989 with Rotary. It holds a special place for him being able to provide an annual fun day out for over 5,000 disadvantaged, disabled and special needs children. Other charities include the RNLI, for which his late mother was hugely involved, as well as the Midlands Air Ambulance, JDRF (Juvenile Diabetes Research Foundation), St Giles Hospice, National Autistic Society, Alzheimer’s Research UK, Birmingham Children’s Hospital, Tamworth Round Table and Tamworth Rotary to name a few.